Naturally, once Bizzy installed it, we couldn't resist playing around with it a little. We put our own address in. Then we wrote a new post. Then we watched our e-mail like hawks to get the notification that we'd written a new post. Then we go back to our blog and write another post and then watch for it to come through to our e-mail. We have decided to call this "The Great Circle of Elf." In any case, we have been having fun going round and round the G.C. of E.
Please join us, by putting your e-mail into that tiny slot on the right and following directions to set it all up. Bizzy also put a "subscribe" button on here, but we haven't figured out yet how it works. We'll get back to you when we do. In the meantime, here is a fun picture for you of some of the elves working out in the ElfGym. Can you spot the non-Izzies who have sneaked in to play in our gym? So we Izzy Elves cannot resist playing with the "translate" button (see it on the right??). French Cheveux Crépus = Portuguese Cabelo Crespo. Luckily, Dizzy seems to have learned his lesson about teasing Frizzy about this. Just in case, Bizzy looked online and found out that Dizzy in Portuguese is "Vertiginoso". We're all ready to start calling him that if he starts calling Frizzy "Cabelo Crespo". 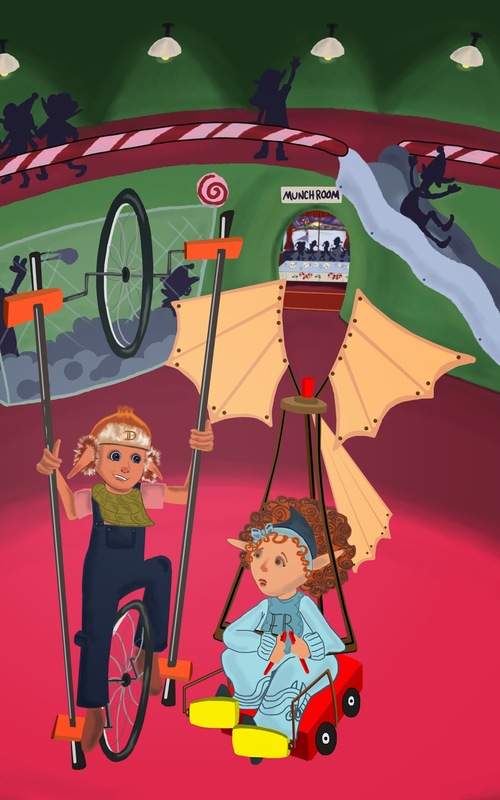 Deedy (that's Dorothea Jensen to you) has been pestering us lately asking our opinions on which of Bizzy's "adventures" (or misadventures) she should put in the next Izzy Elves story. (It's going to be about Bizzy, obviously.) She says she won't start writing it down until after Christmas—which is just as well because we are all slammed with work here at the Pole until then, of course, and don't have time to chat with her. Meanwhile, Bizzy is looking a little nervous. We tell him not to worry, Deedy won't put anything in his story that will embarrass him—too much! This is a picture of an historic first meeting of DD Inc. On the left is our Deedy (Dorothea Jensen to you). On the right is Dee Dee Esposito, She is a talented, creative person who is going to make Frizzy dolls! We are all extremely excited about this, especially (let's be frank) as this means that the rest of us will soon have dolls made that look like us, too! OKAY, OKAY, BIZZY. YOU WIN!! We all talked it over, and decided that reading about how many people visited our IzzyElfBlog was REALLY BORING for non-Izzy Elves. So now it is all automatic. (Wow, did you see that???? Over 8000 now!!!) Sorry, we won't talk about it any more. We promise. Bizzy has been looking all over the blog innards looking for other interesting gadgets to put on it. He LOVES this stuff. So keep visiting. Who knows what will be showing up next! P.S. We insisted that Deedy post her picture instead of ours for a change. Here she is wearing headphones in order to record our stories. Hi, Deedy! So in our last posting, we were talking about how impossible it would be to translate our story poems into another language. Today, we will demonstrate what we are talking about by doing a rough translation of part of Frizzy, the S.A.D. Elf into French. As usual, wearing an ear-reaching grin. “Hi Frizz,” Dizzy said, his smile turning to frown. “I can see by your face that you’re feeling quite down. “No, it’s a description of why you feel bad. You miss all your dollies when they go away. You yearn for your dollies, and that makes you sigh. The D’s for Distress—‘cause you’re feeling so blue. “But what I can work on instead, do you think? And boring, ‘til held in a clever child’s hand. It’s not until then that their magic turns on. Now we've got to go take a look at how this looks in French. We'll be right back. "Salut Frizz," Dizzy dit, son sourire tournant de froncer les sourcils. «Je peux voir votre visage que vous vous sentez très bas. Votre trouble annuel est appelé SAD "
"Est-ce que cela signifie que je suis triste?" "Non, c'est une description pourquoi vous vous sentez mal. Vous oubliez tous vos chariots quand ils s'en vont. l'A Vous aspirez à vos chariots, et qui vous fait soupirer. L'D's de la détresse -'cause vous vous sentez si bleu. départ de vos chariots est terrible pour vous. " "Mais ce que je peux travailler sur place, pensez-vous? 'til tenu dans la main d'un enfant intelligent. C'est seulement alors que leur magie s'allume. je doute que vous oubliez de blocs de construction après ils sont partis. We suspect that roughly rendering this into French negates what Red City Review said about the English version: "Jensen’s narrative rhymes the whole way through...while creating playful sentences that move it along. The rhymes do not seem forced and fit into the story perfectly." 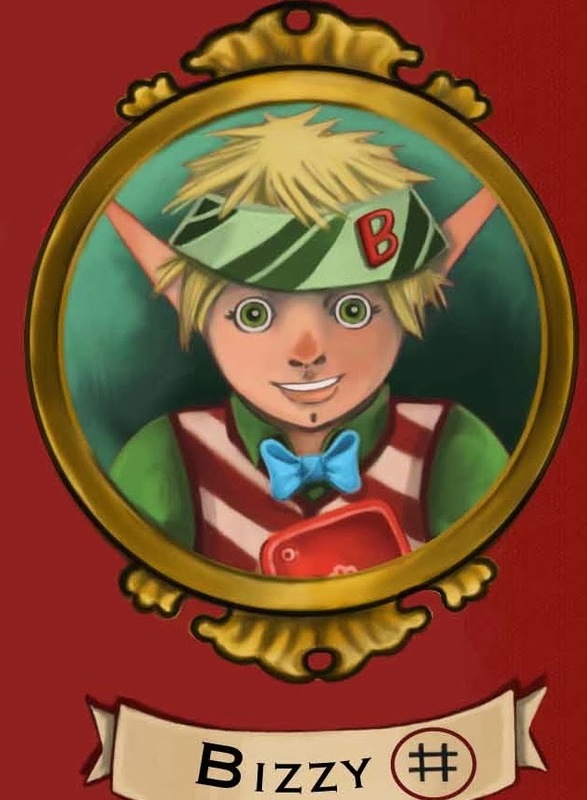 So we Izzy Elves have been amusing ourselves (when we are NOT working diligently in the Izzy Elf Workshop) by reading our blog pages translated into other languages. It is really a HOOT! So we've all been teasing Frizzy a little bit about this, calling her Cheveux Crépus at every opportunity. We suspect (although we do not have an English French dictionary at hand) that this means Frizzy Hair, but it just doesn't sound QUITE the same as plain Frizzy. We think that Bizzy has solved the problem, however. He found an English-French Dictionary online and looked up Dizzy. In French it is Vertigineux. We think. So now we're all calling Dizzy Vertigineux and (surprise, surprise) he has STOPPED calling little Frizzy Cheveux Crépus. The one thing we've all learned from this is that translating our poetic stories into other languages is simply NOT going to work. We'll talk about this more in our next blog. When we Izzy elves got up this morning, the total number of people who had visited pages of our blog ever since we started it a year and a half ago was a little over 6000. We Izzies are all scratching our heads over this. We keep asking each other "Who ARE these people and WHY are they looking at our IzzyElfBlog?" In any case, we all want to say THANK YOU for the visit. Come back again soon, when we have more interesting things to talk about than numbers! Bizzy was snooping around the blog numbers and noticed that, as he puts it, "25.4 % of the people looking at IzzyElfBlog at this very moment are doing so from France." He insisted we put a "translate" widget on our blog, so now anyone who wants to read our blog in some other language can do so INSTANTLY. We've been fooling around with this, taking a peek of what our blog looks like in French, Portuguese, and Chinese. Such fun to see what happens to the words we put down here when they are sent around the world! Guess we'd better get back to work. Hmmm. This is the kind of thing that drives us Izzy Elves nutty. We discovered that we can put a widget that takes our Faithful Blog Readers (thank you again) to YouTube to see our fun videos. However, whenever we put the name of our channel there (Izzy Elves) other videos sneak in that are not ours. "Slash Izzy Elf" for one. We don't know what this is and we are a little afraid to take a look at it. Meanwhile, below are some links so you can go directly to our videos. We are NOT including a link to said "Slash Izzy Elf", although once you get to YouTube, you can choose to view that if you want. Just don't tell us about it. (now available from Amazon.com, Audible.com, and iTunes. Please note: CDs of all these audiobooks will be available soon on Amazon.com. Yes, we know this is hopelessly 20th Century technology, but we think some people would prefer these to the downloaded version. SIX IS (ACTUALLY NOT) OUR NEW FAVORITE NUMBER! Wecome to our blog! For some reason, people have looked at this particular post over three thousand times. We Izzy Elves are mystified by this! This post was formerly (and we are changing it here) a simple salute to the fact that pageviews for the whole blog had reached 6000 and the number of posts we've put up on it was 60. If you will check out the counting widget (on the right side of this page) you will see that our totals now are much higher. We do enjoy posting about what is happening up here at the North Pole (in our section, anyway). Also, Deedy tells us that she has met someone called Dee Dee, who will be making something called a prototype doll of Frizzy. As a result, Frizzy is feeling very full of herself, and keeps striking poses like some kind of (sorry, Frizzy) empty-headed model! Finally, we have a giveaway going! 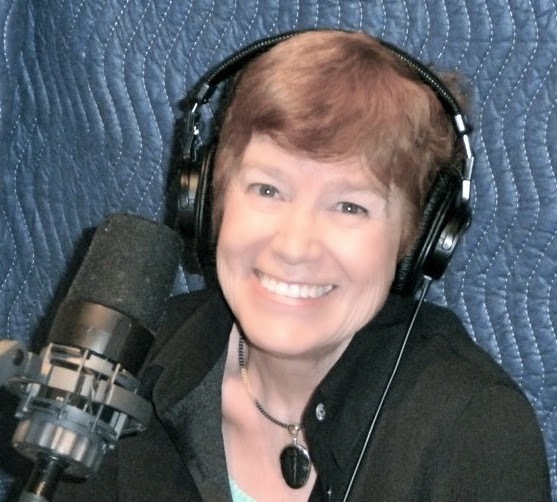 Ten downloads of the downloadable Frizzy audiobook from Audible.com. To enter, just send an e-mail with "Frizzy Giveaway" in the subject line to us at elfenterprisesllc@gmail.com.